Health is considered as the major wealth of our life. Present day’s system claims huge medical expenditure for individuals as well as for the government or private authorities. Therefore, understanding such economic issues associated with health management and treatment system is of prime importance. 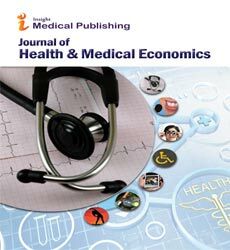 Journal of Health & Medical Economics provide a platform for the researchers, academicians who are associated with medical economics. The journal publishes articles on the latest research and development in medical management and economic calculations and strategies. Articles are welcome in the mode of research, review, short communications, case studies etc. The aim of this periodical is to provide latest information in the relevant area of research along with providing upgraded information on affordable strategies for better economic management related to medical issues. The broad area of the journal encompasses ways of availing better and cheaper health services, medical insurance and relevant discussions, health policies and medical expenditure planning, novel and latest technologies aiding medical economics, better and cheaper diagnostics methods, patient management and related economics, economical issues related hospital management, management of diseases especially those which cost a lot to the patient for medical management, mathematical or computational prediction or modeling related to health economics, analysis of the clinical trial data in association to medical economics. Areas which could be considered under the broader aspect of the subject apart from these specified topics are also welcome. Study of psychology as it relates to economic decision making processes of individuals and institutions. It explores why people sometimes make irrational decisions, why and how their behavior does not follow the predictions of economic models. Standard economic model includes unbounded rationality, unbounded willpower and unbounded selfishness. It is a modeling technique that combines multiple data sources to count and compare the total fatal and non-fatal health loss from diseases and injuries in a population, and its attribution to specific risk factor. Disability adjusted life years is one of the measure of burden of disease. Cost benefit analysis is the monetary or safety evaluation of risk of performing a task vs. benefit of performing the task. Relative valuation method is a simplified method of assessing risk in terms of worker safety. It is one of the most fundamental concepts of economics. Demand refers to how much of a product or a service is desired by buyers. Supply refers to how much the market can offer. Demand relationship is correlation between price and quantity demanded. Supply relationship is correlation between price and how much of a good is supplied to market. Concept of reducing health care costs and improving quality of life for individuals with chronic conditions by preventing or minimizing the effects of disease through integrated care. It is a system of coordinated health care interventions and communications for defined patient populations where self-care efforts can be implemented. It is about transforming an employer’s health benefit plan into one that puts economic purchasing power and decision making in the hands of participants. It tries to encourage health information empowerment and transfer of knowledge so that patients can be informed and therefore more involved in decision making process. It is an applied field of study that allows for the systematic and rigorous examination of the problems faced in promoting health for all. It is used to promote health through the study of health care providers, hospitals and clinics. Used to evaluate certain social problems and to directly inform government on best course of action with regards to regulation and national health packages. A type of insurance coverage that pays for medical and surgical expenses that are incurred by the insured. Health insurance can either reimburse the insured for expenses incurred from illness or injury or pay the care provider directly. Health insurance is often included in employer benefit packages as a means of enticing quality employees. It is the debt incurred by individuals due to health care costs and related expenses. It is different from other forms of debt since incurred accidentally. medical debt is often treated with more sympathy than other kinds of debt resulting in advice that people ought not try to convert it to credit card debt. It refers to the scientific discipline that compares the value of one pharmaceutical drug or drug therapy to another. The study evaluates the cost and effects of pharmaceutical products. Main forms of economic evaluation are cost-effectiveness analysis, cost-consequences analysis and cost-utility analysis. These are common health care cost for many people. These costs are sometimes referred to as out-of-pocket prescription costs, since for those with insurance, the total cost of their prescriptions may include expenses covered by a third party, such as an insurance company, as well as the individual. It is the study of the utilization and effects of drugs in large numbers of people; it provides an estimate of the probability of beneficial effects of a drug in a population and the probability of adverse effects. It concentrates on clinical patient outcomes from therapeutics by using methods of clinical epidemiology. Pharmacovigilance is a part of this which involves continual monitoring in population for unwanted effects and safety concerns. Clinical trial outcome databases capture summary level data for the clinical safety and efficacy outcomes from publicly available data sources. Databases are designed to assist companies conduct comparative efficacy and safety analysis. It is a tool used in pharmacoeconomics to compare cost per course treatment when alternative therapies have equivalent clinical effectiveness. It has been employed to support and justify introduction of cheaper drugs into therapeutic class. Modelling studies are used widely to help inform decisions about health care and policy and their use is increasing. A model is an analytical methodology that accounts for events over time and across populations, that is based on data drawn from primary or secondary sources and in the context of health care-evaluation. Models are typically used when it is either impossible or impractical to create experimental conditions in which scientists can directly measure outcomes. Direct measurement of outcomes under controlled conditions will always be more reliable than modelled estimates of outcomes. These are commonly called medicines or drugs which are fundamental components of both modern and traditional medicine. These products are safe, effective and good quality and are prescribed. These are classified as prescription drugs and over the counter drugs. They are classified into different types based on route of administration, pharmacology, therapeutic and biological effects etc. Financial information is an archive of past reports and results announcements, our financial highlights from the past year, full year results and details how we have performed over the past five years.